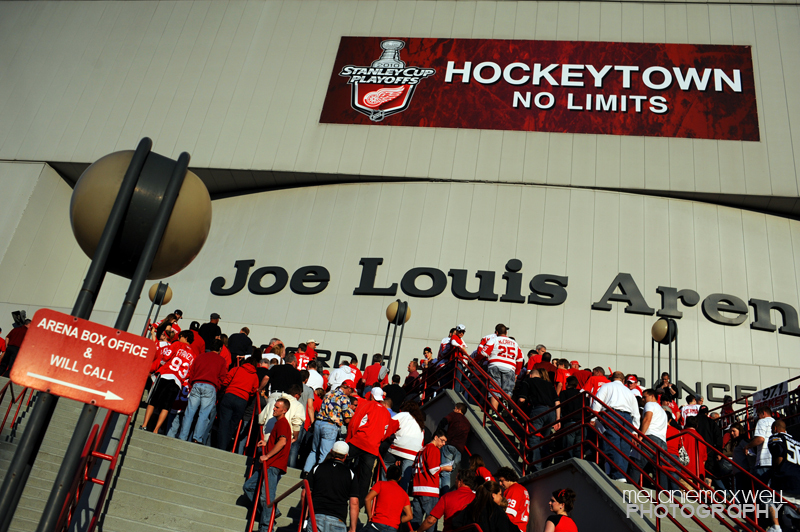 I got the chance to go to last night's Red Wings game-three playoff game against the (fun-spoiling-jerks) San Jose Sharks. 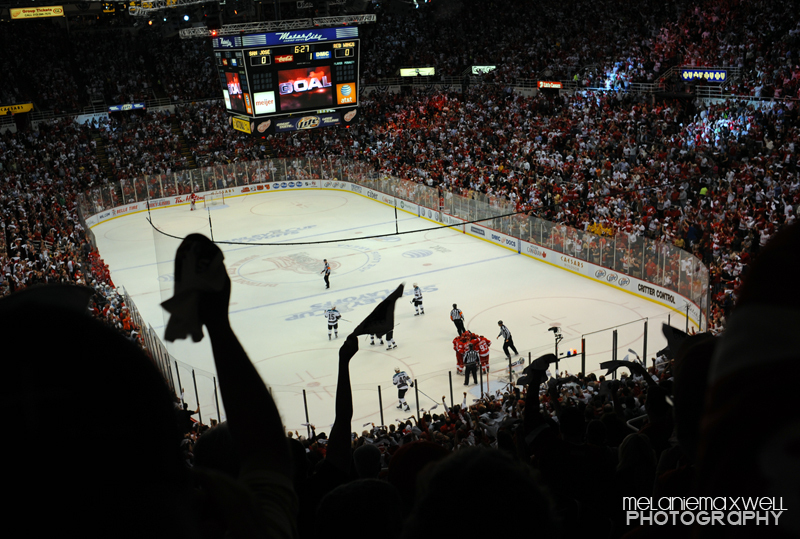 I haven't been to a hockey game since the eighth grade and I was super excited to return to the Joe. 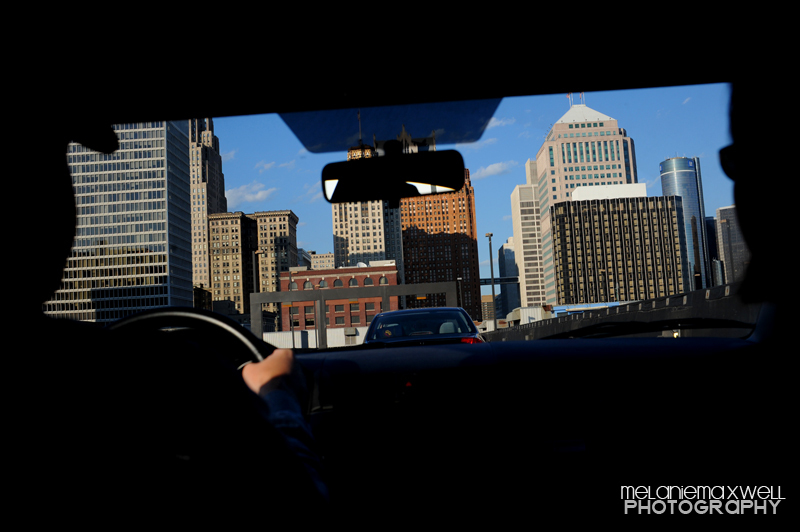 I brought along my camera, which totally confused the security guard, no it's not a "movie camera" lady, to take a few photos. 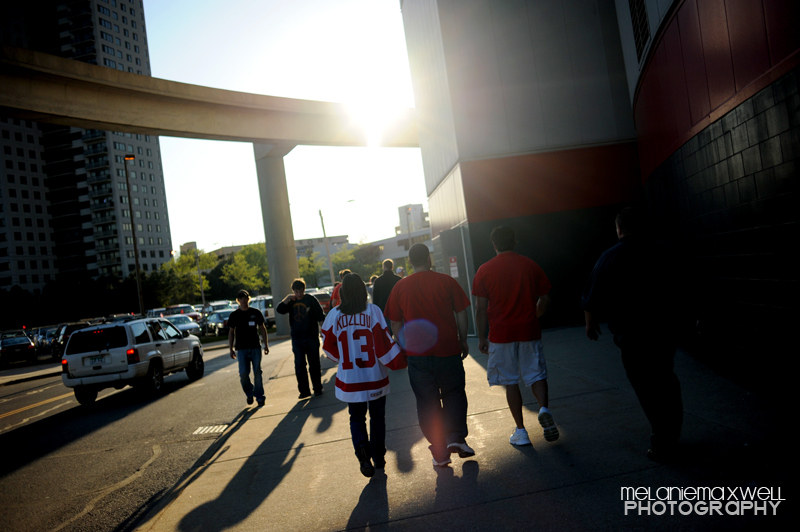 Even though our beloved Wings lost, painfully so, I still had a great time! Thanks to super fans and friends Angie, Rob, Eric and Katie for a great night! 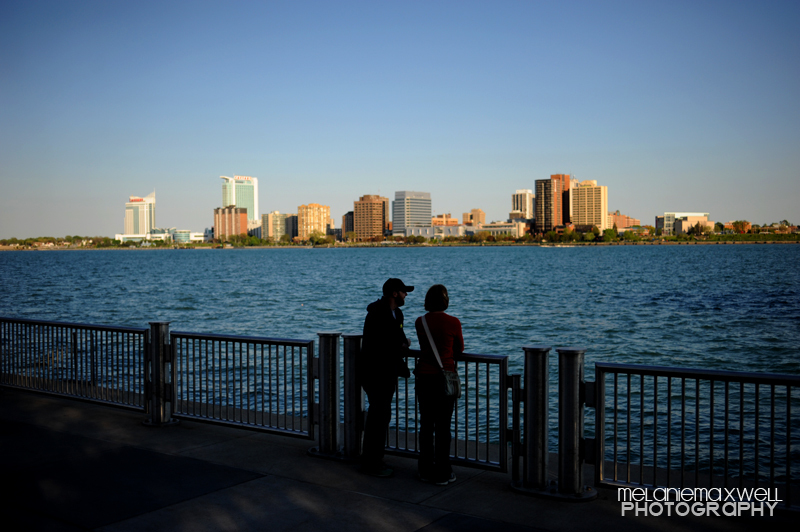 Eric and Katie checking out Canada and the Detroit River.